For the first time, the Orlando Historic Preservation Board discussed Mayor Buddy Dyer’s plan to demolish historic Tinker Field yesterday in City Hall’s chambers. The Historic Preservation Board did want to step in and take action to help save Tinker Field, but Dyer had a city attorney on hand, ready to block anything from happening. 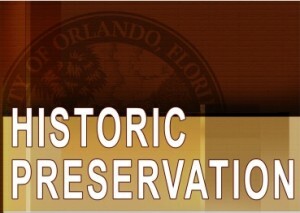 It became clear that every member of the Orlando Historic Preservation Board was embarrassed and humiliated by it all. After the board realized it was on the National Register of Historic Places (although, it’s important to remember it was this very board that sent in the application for it), they wanted to make sure staff began the process to award Tinker Field a local historic designation that could offer protection. The city attorney immediately objected and staff began the typical Orlando delay tactics, failing to be able to decide on dates or whether this action could be voted on at the March or April meetings. Hearing this, the Board then tried to ask the City of Orlando to hold off on the demolition of Tinker Field until the Historic Preservation Board could act, but once again Dyer’s city attorney jumped in declaring that was not within the scope of authority given to this board. So much for Citizen Boards in Orlando meaning anything. Even if this board was able to get this done, Dyer and the City Council (the same ones that rubber stamped Dyer’s original planned demolition caused by the Citrus Bowl renovations set to destroy Tinker Field) would have to vote on it. So we’re left with staff “researching” possible protection of Tinker Field while Dyer continues to run bulldozers and equipment all over the historic site. A recommendation may come in March or April and then this board could take a vote after. It will be summer before City Council would even take a look at this point. And Dyer announced the field may be gone as soon as March. 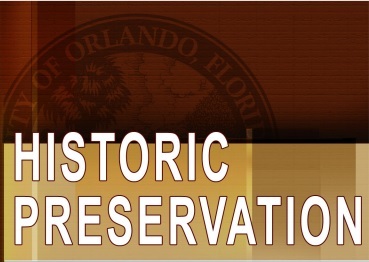 The Historic Preservation Board was used and abused by Buddy Dyer and the City of Orlando. “This Board is a victim of staff and attorneys,” County Watch Chair Doug Head posted after the meeting. Emmett O’Dell also spoke to the Board and reminded them he addressed that very board about Tinker Field in the past. He also made the excellent point that the Orlando Municipal Auditorium (otherwise known as Bob Carr Performing Arts Centre) needed similar protection as it falls right in the middle of Dyer’s planned “Creative Village.” But the Historic Preservation Board took no action on that – maybe once the bulldozers show up on site they’ll review. This board, the staff and attorneys, and these destructive policies are all the result of Buddy Dyer. It’s a shame Orange County Mayor Teresa Jacobs and the County Commission decided to enable this by approving the Venues package without more scrutiny. Let’s see if they will take any real action during their meeting on February 11th at 1:30pm at the County Administration Building. Tom nelson on Dyer’s Secret Debt: Orlando, The City Broke? WON – Orlando Ranked One of Worst-Run Cities in America: It’s Beyond Time for Buddy Dyer To Go on Dyer’s Secret Debt: Orlando, The City Broke? 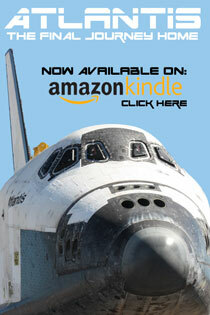 Enter your email address to subscribe to this blog and receive notifications of new posts in your inbox. Thanks!